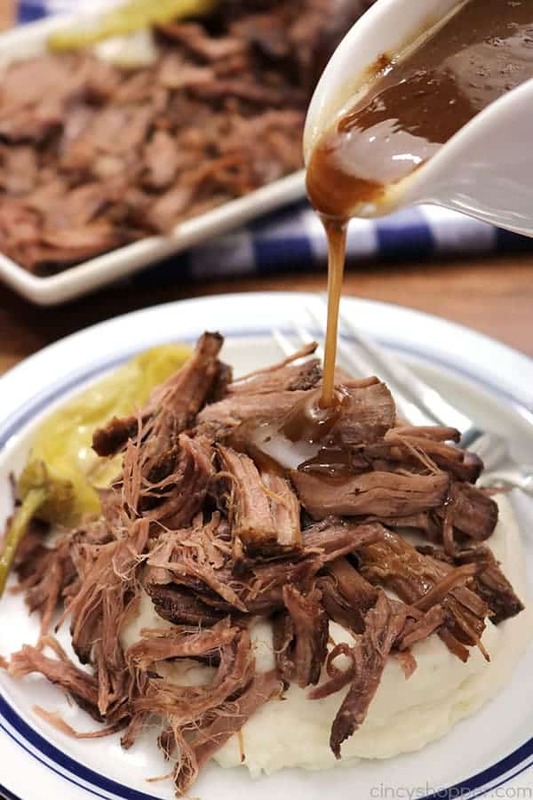 This Slow Cooker Mississippi Pot Roast is super tender and packed with flavor. This has got to be the BEST beef roast EVER! 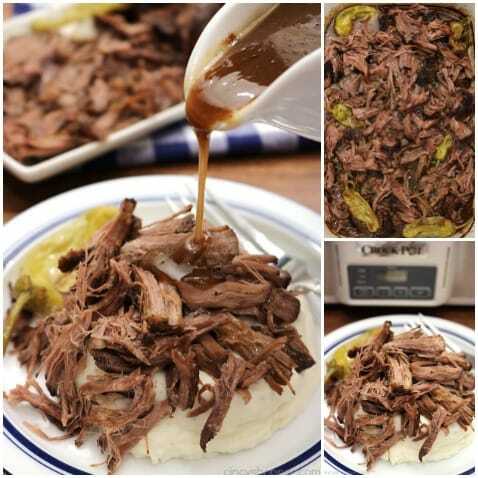 Serve it up with some mashed potatoes and you have a perfect family dinner. We love busting out our Crock-Pots. I have so many different brands and sizes. Yes… My kids think I have an obsession with buying new slow cookers. Last week, I ordered up Crockpot Casserole Crock from Amazon. 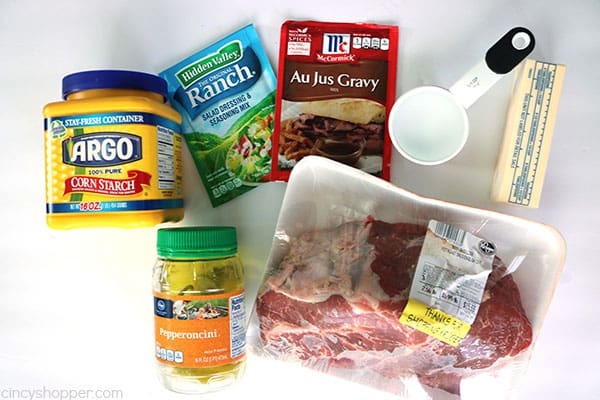 I know it has casserole in the name but this slow cooker is great for all slow cooker recipes. I have made a few recipes this week in this awesome cooker. 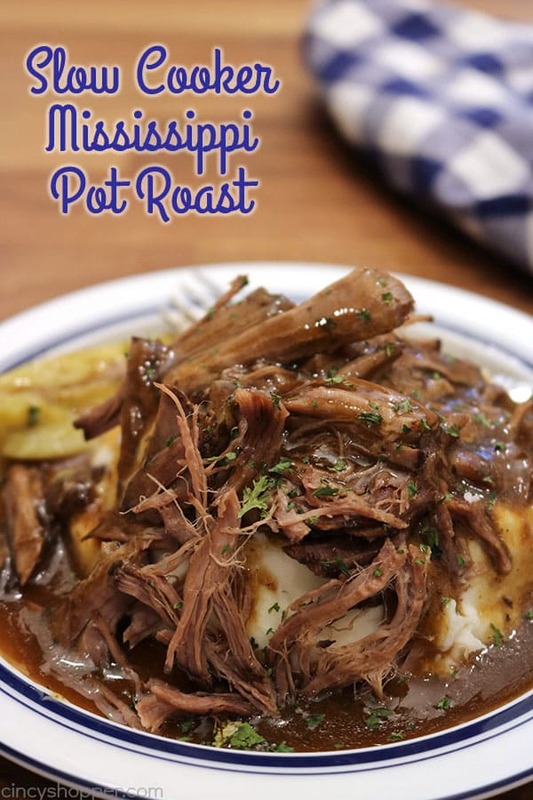 I found it perfect for this Mississippi Pot Roast recipe. Since we are a beef loving family, I make beef roasts often. I usually make our Slow Cooker Pot Roast with Carrots and Potatoes. It is a favorite for sure. 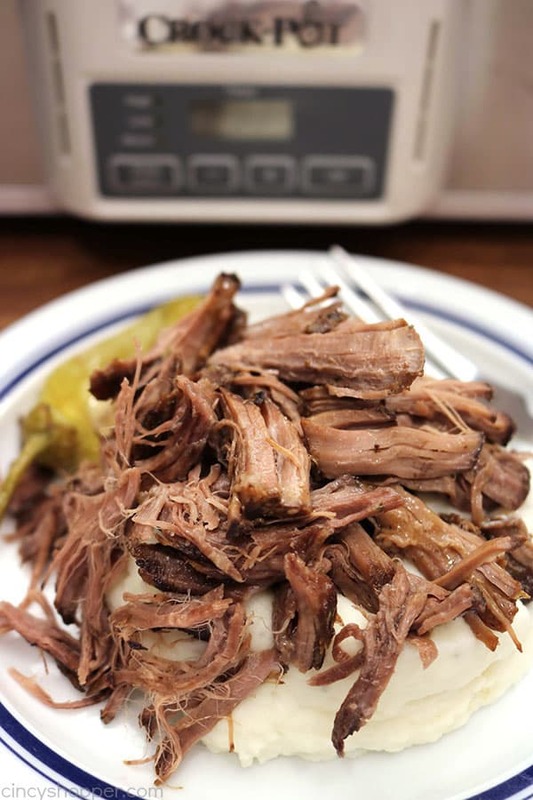 This Slow Cooker Mississippi Pot Roast was AMAZING. My son says it’s the best recipe I have made yet. Now… That should tell you something. The beef was perfect. The roast was so tender and juicy. It was falling apart as I transferred it to the plate. LOVE IT! I found this recipe over on Food Network. I added a few modifications to their recipe and I do not think I could have done better. This is comfort food at its finest. Perfect weeknight family idea. No need to worry about gravy either. The juices from the roast are perfect and can be used as is or you can add a cornstarch slurry to thicken if you like. 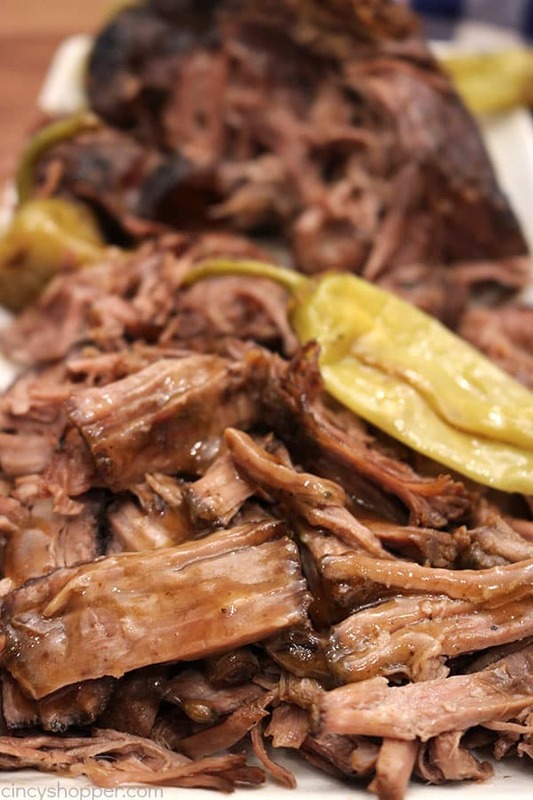 Grab yourself beef roast from the store along with a ranch season mix, an au ju season packet, butter, and some pepperoncini peppers. 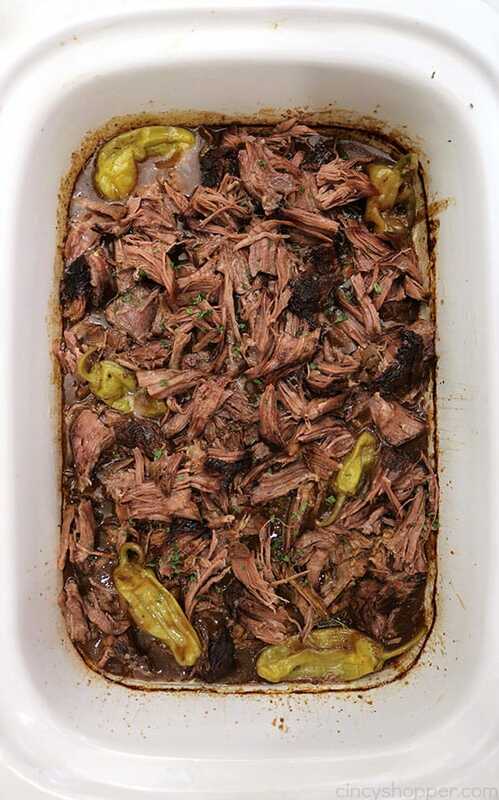 You can have this roast slow cooking in your Crock-Pot in no time at all. I served our meat over mashed potatoes. The combination is perfect. 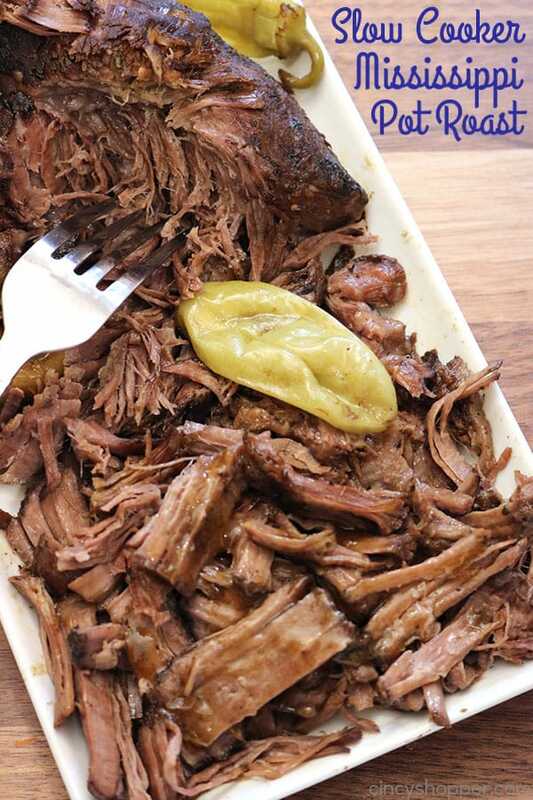 Place roast in middle of slow cooker. 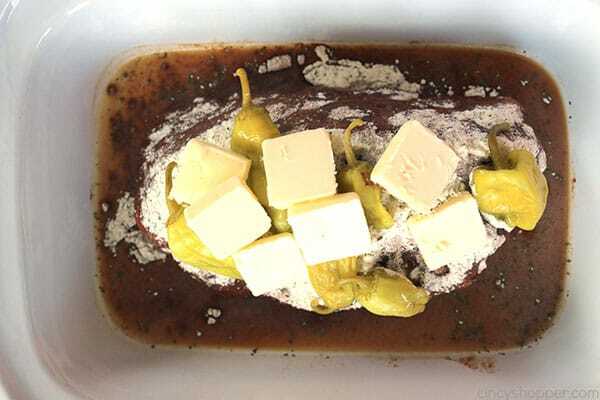 Sprinkle ranch and gravy mixes over roast. Place pats of butter on roast. Cook on high for 6 hours or low for 12 hours, until roast is fork tender. 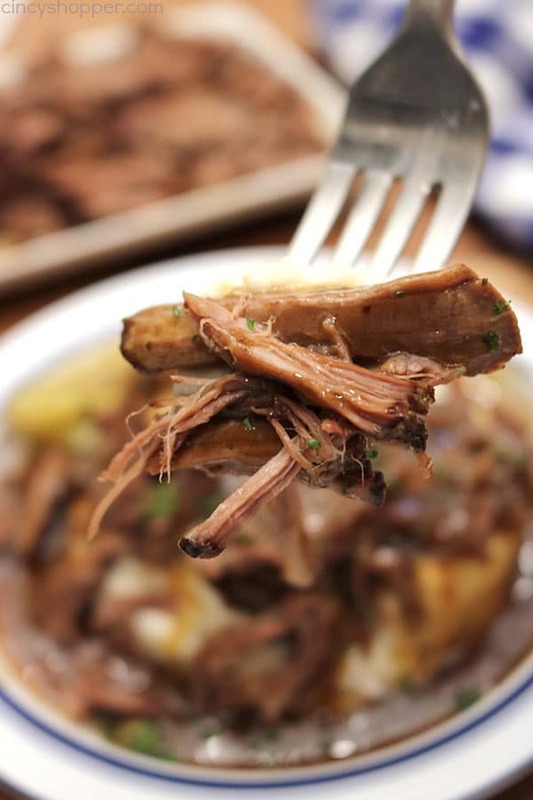 Remove roast and break up with fork. 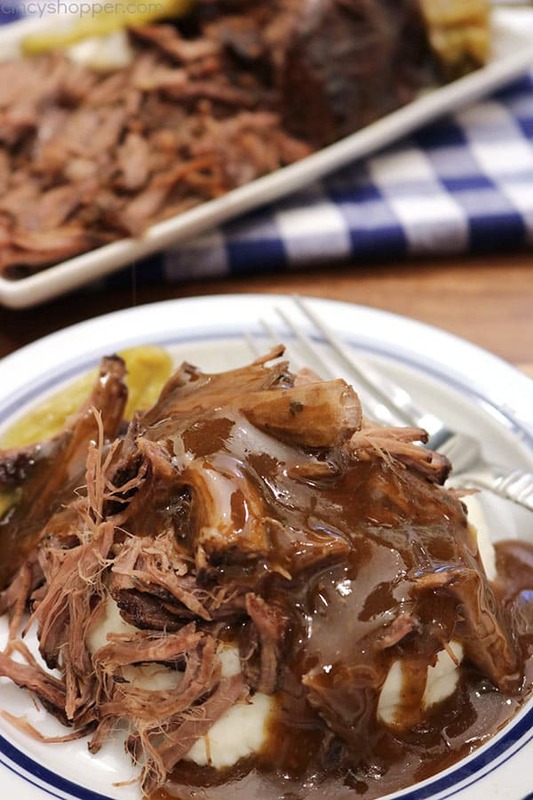 You can whisk together cornstarch and water to make a slurry and whisk into slow cooker to thicken gravy. 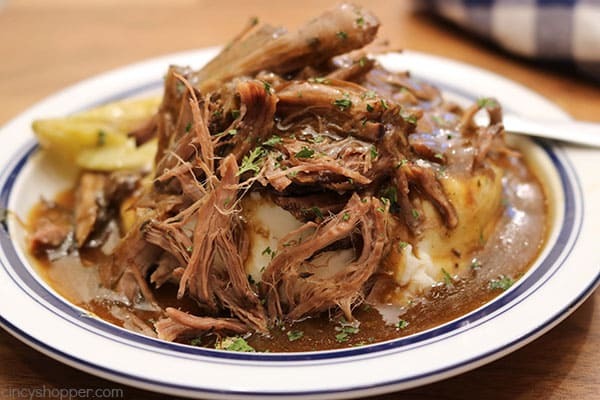 Do you have a favorite slow cooker dinner you make often?